TESTOSTERONE ENANTHATE is an oil based solution for IM injection including those of short, intermediate, and long half-lives. Serum testosterone will rapidly increase within 24 hours of IM administration and remain elevated for 7 – 10 days. 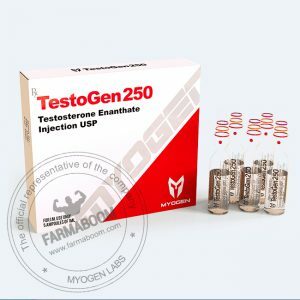 Testosterone Enanthate 250 is suitable for the treatment of hypogonadism and other disorders related to androgen deficiency. 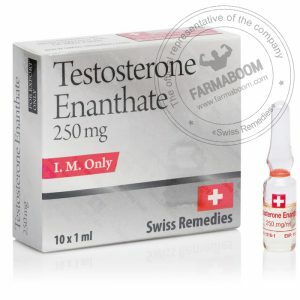 Testosterone Enanthate 250 has both anabolic and androgenic effects. Testosterone supplementation has been demonstrated to increase strength and growth of new muscle tissue, frequently with increases in libido. CAS number: 315-37-7. Dosation: 2500mg/10ml. The package has been changed. Testosterone is the king of all mass builders and for this purpose is also fairly cost effective. It works well either alone or stacked to create a great bulking cycle. 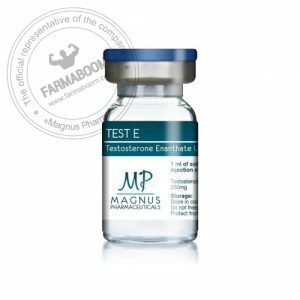 It has a high risk of side effects due to its conversion to DHT and has the potential to form estrogen, causing gynecomastia. These characteristics also cause it to have such excellent mass building tendencies. Due to some other side effects, such as water retention, it may not be the best used alone for lean mass gains, but with bulking comes the addition of a lot of muscle as well as some gains in fat and water weight. This is typical and a natural part of the enhanced bodybuilder’s bulking regiment. Testosterone enanthate is a long lasting single ester steroid. It is 7 carbons in length. What this means, is that more of the weight of the steroid is testosterone as opposed to ester weight. When taking a quantity of an esterified steroid, the total weight is a combination of both the ester weight and the steroid. That said, longer esters such as cypionate have more ester weight (due to it’s 8 carbon length), and less overall steroid weight. For this reason, enanthate would be preferred over cypionate. Sustanon has even more steroid weight. 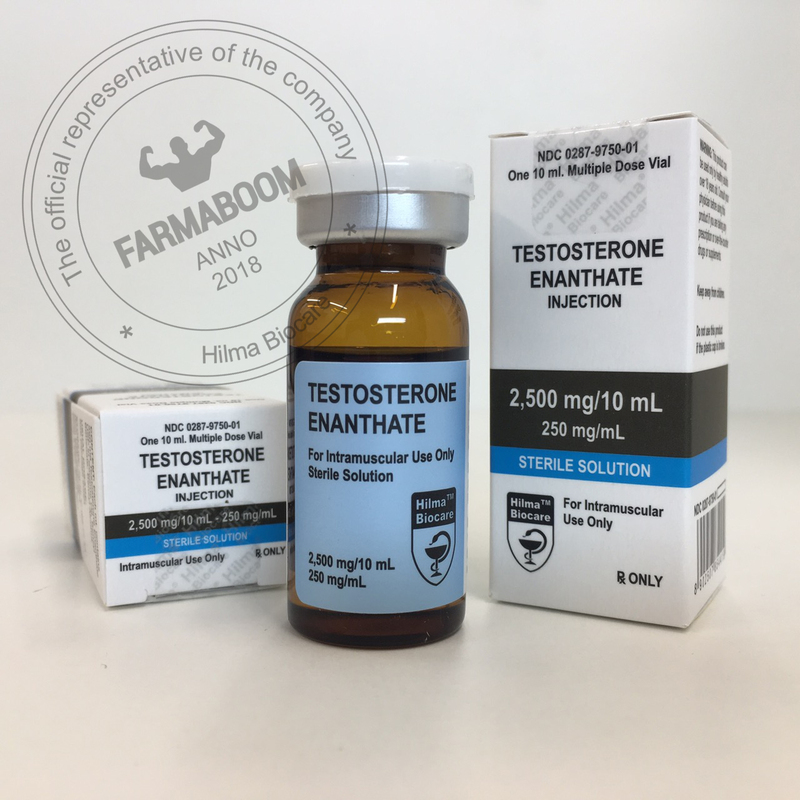 A long acting testosterone ester will be very helpful for your bulking needs, and enanthate is a product which is more simple than some of the other steroids out there. Not to say it is without its share of complications, but it’s a good choice, especially for those new to enhanced bodybuilding. Discontinuing the product is not an option in case side effects occur, because it will continue to aggravate these side effects over extended periods of time due to the long length of action of this steroid (3-4 weeks). Ancillary drugs such as nolvadex, proviron, clomid and HCG may help, both during cycle and post cycle to help restore natural testosterone production. Testosterone enanthate does aromatize slightly more than sustanon, but when using either drug, one should be familiar with anti-estrogens such as nolvadex or clomid and use one of them when symptoms of gyno occur. Those who have prostate problems or those who are sensitive to gyno (for example, those who developed a case of gyno during puberty), and those who are sensitive to female pattern fat deposits will want to ensure anti-estrogens are on hand during cycle in case gyno related side effects arise. As a general rule of thumb, you will always want to keep nolvadex on hand – but obviously, it is even more important if the risks of these side effects are higher than normal (depending on the user and his or her genetic predisposition). Like any other testosterone, enanthate suppressed HPTA function. Clomid or nolvadex are important to have post cycle to stimulate normal testosterone function within a reasonable amount of time. You may also want to use HCG during your cycle, but this is matter of personal preference, as many feel they will be able to recover post cycle and don’t feel the benefit of HCG is worth the cost. Normalization of natural functions which were suppressed during cycle and testosterone production usually occur without the use of HCG, but at a slower rate than if it was used. Like anything in life, there is no guarantee of full recovery, but it would be a rare case if it did not happen.